​First, an ethical real estate agent will never, ever, pressure into buying a house.Second, you will instinctively know it in your gut. Third, you may want to sleep on the decision. Don't. If You Have Found the Right House, Can You Sleep On It? Right now you're probably wondering how you will know that you have found the right house if you don't sleep on it. What's wrong with sleeping on it? Everything is wrong with sleeping on it. Trust yourself. Don't second guess your own instincts. Your instincts will not steer you in the wrong direction. Have you heard the phrase: shuffle your feet, lose your seat? Somebody else could buy your house out from under you while you're counting sheep. You're not the only home buyer looking for a house to buy with your specific criteria. You might not know it, but there are other home buyers with similar intentions looking at homes today in the very neighborhoods where you, dear reader, want to buy. 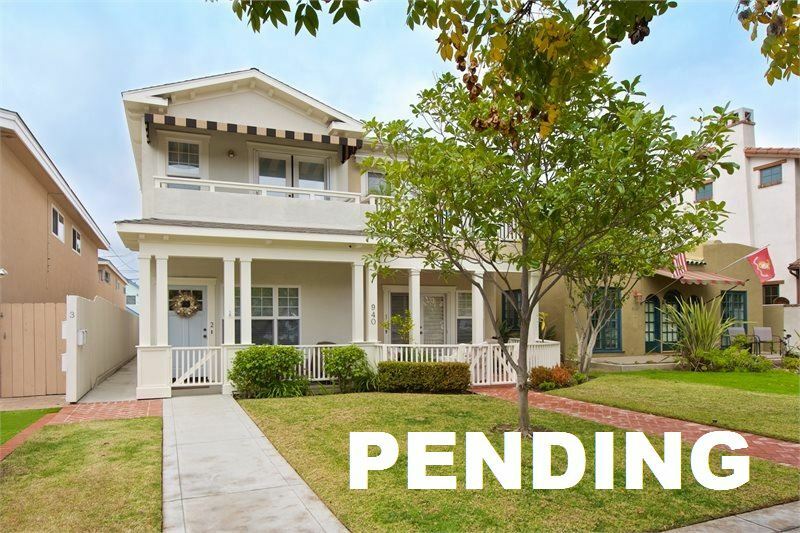 The last thing you want to hear your buyer's agent say is another buyer made an offer and it was accepted minutes before your offer was submitted. Happens all the time, too. Unless you're buying a brand new home, there is not another home around the corner just like the home that now you can't buy. When you find that house, buy it. Part of the excitement of looking at homes is not knowing which could be your new home when you pull up to the curb. Is it the one on the left, or does the house on the right strike your fancy? If it is the house on the right, and you like it better than the house on the left, that could be a sign. It means there is something about this house that appeals to you. Curb appeal is talking. Within 3 seconds of entering the house, you will know whether it feels warm and comforting. Does it seem to speak to you? Does the house invite you to explore? Does it feel, well . . . right? Like home? Then it probably is. Sometimes buyers feel so uncomfortable near a bathroom that they won't walk into the room. They are afraid to let their feet touch that bathroom floor. They will stand outside, grab the door frame, and poke their heads in for a minute. If you can walk into the bathroom and feel compelled to open the shower door or stroke the vanity marble, this is your house. Maybe your agent points out a flaw and says, "There is a stain in the kitchen sink," and you want to slap her face for saying something so mean about this house. You want to defend every flaw you see. If you even see the flaws, because right now, flaws do not matter. If you walk into the master bedroom and immediately can envision your bed against a particular wall, this might be your house. If you find yourself thinking that the living room window is a perfect spot to put a tree come Christmas, you're already hooked. Perhaps deep purple is not your favorite color. Maybe it's blue. Maybe you're thinking those purple walls in the kid's room would look better in a pale blue jean color. In fact, you might even know the name of the paint color you plan to use because you've been thumbing through Pottery Barn catalogs and this home looks just like those. The dynamics might not hit every bullet point on your list, but it meets the basic requirements. The house has the number of rooms and space you need. Maybe it doesn't have a garage, and in a flash of enlightenment you realize that buying a house with a garage is not important. Maybe you suddenly realize you could build a garage. Being flexible about which issues are deal-killers is a good quality to develop. All of the other homes you've been looking at no longer appeal to you. The homes on that list you've been carrying around seem insignificant. Moreover, the homes you had previously rated a #8 have now fallen to a #2 rating. The homes you have seen pale in comparison. You would feel like a traitor to this home if you went to visit other homes. This is it. I'm telling you. It would not be unusual for you to snap a few photos to upload to Instagram before you've finished touring the home. You feel excited. The excitement seems to manifest itself. You shoot more photographs. Suddenly your phone is in burst mode and before you realize it, you have hundreds of photos. Except for that nagging little thought that wonders if you should sleep on it, every other thought in your head says this is the perfect house for you. You are consumed. You can't think about anything else apart from owning this house. Dinner? Who needs to eat? You need this house. You wonder if you should be committed or see a doctor. Yup, this is your house. Just do it.